You acknowledge that this Site contains Content that is protected by copyrights, trademarks, service marks, trade secrets, patents, or other proprietary rights, and that these rights are valid and protected in all forms, media, and technologies existing now and hereinafter developed. You also acknowledge that the Content is and shall remain the property of the Never Forget Your Own Incorporated or any other party (each a "Contributor") who has been involved in the preparation or publication of the Content. You shall at no time assert any claims of ownership over any content by reason of your use of or any right to use this Site and shall not grant or create or suffer to exist any lien or other security interest arising therefrom. You agree to comply with all copyright and trademark laws and you shall not encumber any interest in, or assert any rights to, the Content. You may not modify, transmit, participate in the sale or transfer of, or create derivative works based on any Content, in whole or in part. You may print copies of the Content, provided that these copies are made only for personal, non-commercial use and that you maintain any notices contained in the Content, or maintained by the Contributor, such as all copyright notices, trademark legends, or other proprietary rights notices. You shall not store electronically any significant portion of any Content. Never Forget Your Own Incorporated authorizes you to view and use the Content on this Site solely for your personal, noncommercial use. The use of the Content on any other site, including by linking or framing, or in any networked computer environment for any purpose is prohibited without Never Forget Your Own Incorporated’s prior written approval. For permission to use content from this website or from a newsletter authored and distributed by Never Forget Your Own Incorporated, request written permission and provide full attribution. Permission should be requested by contacting Never Forget Your Own Incorporated. 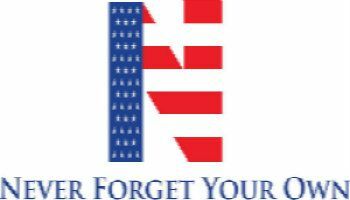 Attribution for website content should be given as follows: "Reprinted with permission from Never Forget Your Own Incorporated." THE CONTENT PROVIDED ON THIS WEBSITE IS PROVIDED AS A SERVICE TO MEMBERS OF THE PUBLIC. INFORMATION PRESENTED ON THIS WEBSITE IS PROVIDED FOR INFORMATIONAL PURPOSES ONLY. NO INFORMATION PRESENTED ON THIS WEBSITE CONSTITUTES LEGAL ADVICE, NOR DOES IT CREATE AN ATTORNEY-CLIENT RELATIONSHIP BETWEEN NEVER FORGET YOUR OWN INCORPORATED AND ANY OTHER PARTY. YOU ACKNOWLEDGE AND AGREE THAT THIS SITE AND THE CONTENT THEREIN ARE PROVIDED ON AN "AS IS" AND "AS AVAILABLE" BASIS. NONE OF NEVER FORGET YOUR OWN INCORPORATED, ANY OF ITS MEMBERS, AFFILIATES OR THEIR RESPECTIVE OFFICERS, DIRECTORS, EMPLOYEES OR AGENTS (COLLECTIVELY NEVER FORGET YOUR OWN INCORPORATED") GUARANTEES THE ACCURACY, COMPLETENESS, OR USEFULNESS OF ANY OF THE CONTENT. NONE OF NEVER FORGET YOUR OWN INCORPORATED PARTIES WARRANTS THAT THIS SITE WILL BE UNINTERRUPTED OR ERROR FREE OR THAT THIS SITE, ITS SERVER OR ANY FILES AVAILABLE FOR DOWNLOADING THROUGH THIS SITE ARE FREE OF COMPUTER VIRUSES OR OTHER HARMFUL ELEMENTS. YOU EXPRESSLY AGREE THAT THE ENTIRE RISK AS TO THE QUALITY AND PERFORMANCE OF THIS SITE AND THE ACCURACY OR COMPLETENESS OF THE CONTENT IS ASSUMED SOLELY BY YOU. NONE OF NEVER FORGET YOUR OWN INCORPORATED’S PARTIES MAKES ANY, AND HEREBY SPECIFICALLY DISCLAIMS ANY, REPRESENTATIONS, ENDORSEMENTS, GUARANTEES, OR WARRANTIES, EXPRESS OR IMPLIED, REGARDING THIS SITE OR ANY CONTENT, INCLUDING WITHOUT LIMITATION, THE IMPLIED WARRANTIES OF MERCHANTABILITY AND FITNESS FOR A PARTICULAR PURPOSE AND NON-INFRINGEMENT OF THIRD-PARTY RIGHTS. WITHOUT LIMITING THE GENERALITY OF THE FOREGOING, ALL NEVER FORGET YOUR OWN INCORPORATED’S PARTIES DISCLAIM ANY WARRANTIES WITH RESPECT TO ANY RESULTS THAT MAY BE OBTAINED FROM THE USE OF THIS SITE. UNDER NO CIRCUMSTANCES WILL ANY OF NEVER FORGET YOUR OWN INCORPORATED’S PARTIES BE LIABLE FOR ANY LOSS OR DAMAGE CAUSED BY YOUR RELIANCE ON INFORMATION OBTAINED THROUGH THE CONTENT ON THE WEB SITE. IT IS YOUR RESPONSIBILITY TO EVALUATE THE ACCURACY, COMPLETENESS, OR USEFULNESS OF ANY INFORMATION OR ANY CONTENT AVAILABLE THROUGH THE WEB SITE. IN NO EVENT SHALL ANY OF NEVER FORGET YOUR OWN INCORPORATED’S PARTIES BE LIABLE FOR ANY DIRECT, INDIRECT, INCIDENTAL, SPECIAL OR CONSEQUENTIAL DAMAGES ARISING OUT OF OR RELATING TO THE CONTENT, SERVICE, OR THIS AGREEMENT, WHETHER BASED ON WARRANTY, CONTRACT, TORT, OR ANY OTHER LEGAL THEORY. BECAUSE SOME JURISDICTIONS DO NOT ALLOW THE EXCLUSION OR LIMITATION OF LIABILITY FOR NEGLIGENCE, CONSEQUENTIAL OR INCIDENTAL DAMAGES, IN SUCH JURISDICTIONS NEVER FORGET YOUR OWN INCORPORATED PARTIES' LIABILITY IS LIMITED TO THE GREATEST EXTENT PERMITTED BY LAW. YOUR SOLE AND EXCLUSIVE REMEDY FOR DISSATISFACTION WITH THIS SITE IS TO STOP USING THIS SITE. As a convenience to you, this Site may periodically provide links to third party websites through links available on this Site including websites of entities that are affiliated with Never Forget Your Own Incorporated ("Third-Party Sites") where we feel it is appropriate. Lists of links are not complete lists of relevant and/or useful internet resources. Our decision to link to a Third-Party Site is not an endorsement of the content in that linked Third Party Site. WE ARE NOT RESPONSIBLE FOR THE CONTENT OF ANY THIRD-PARTY WEB SITE, NOR DO WE MAKE ANY WARRANTIES OR REPRESENTATIONS, EXPRESS OR IMPLIED, REGARDING THE CONTENT (OR THE ACCURACY, CURRENTNESS, OR COMPLETENESS OF SUCH CONTENT) ON ANY THIRD-PARTY WEB SITES, AND NEVER FORGET YOUR OWN INCORPORATED SHALL HAVE NO LIABILITY OF ANY NATURE WHATSOEVER IN RELATION TO ANY OF THE FOREGOING. You should take precautions when downloading files from all Sites to protect your computer from viruses and other destructive programs. If you decide to access linked Third-Party Sites, you do so at your own risk. You should direct any concerns to the Third-Party Sites' administrator or webmaster. Elements of this Site are protected by trade dress, trademark, unfair competition, and other state and federal laws and may not be copied or imitated in whole or in part by any means, including but not limited to, the use of framing or mirrors. None of the Content for our Site may be retransmitted without the express written consent of Never Forget Your Own Incorporated. Never Forget Your Own Incorporated reserves the right, in its sole discretion, to restrict, suspend, or terminate this Agreement and your access to all or any part of our Site or the Content, at any time and for any reason without prior notice or liability. Never Forget Your Own Incorporated reserves the right to change, suspend, or discontinue all or any part of this Site or the content at any time without prior notice or liability. This Site is based in Mansfield, TX. Never Forget Your Own Incorporated makes no claims concerning whether the Content may be downloaded or are appropriate for use outside of the United States. If you access this Site from outside of the United States, you are solely responsible for ensuring compliance with the laws of your specific jurisdiction. Never Forget Your Own Incorporated’s' failure to enforce your strict performance of any provision of this Agreement will not constitute a waiver of its right to subsequently enforce such provision or any other provision of this Agreement.Neither the course of conduct between parties nor trade practice shall act to modify any provision of the Agreement. The Agreement shall be governed by and construed in accordance with the laws of the Mansfield, TX., except with regard to its conflicts of law rules. Any action relating to the Content, Site or this Agreement must be brought in the federal or state courts located in Mansfield, TX., and you hereby irrevocably consent to the jurisdiction of such courts. Any cause of action you may have with respect to the Content, Site or this Agreement must be commenced within one (1) year after the claim or cause of action arose, or be barred. This Agreement contains the entire agreement of the parties for this Site and supersedes all existing agreements and all other oral, written or other communication between the parties concerning its subject matter. You agree to use the Content and Site only for lawful purposes. You are prohibited from any use of the Content or Site that would constitute an illegal offense, give rise to liability or otherwise violate any applicable local, state, national or international law or regulation.